Tuna has exploded onto the scene in Westport over the last week. Once Septemeber hit so did the Tuna, 32 to 36 miles SW of the south jetty. 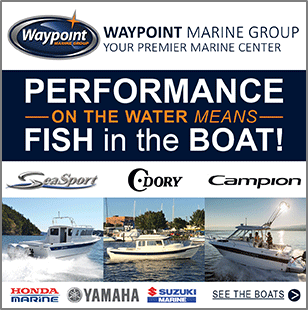 Action this past weekend was Hot and Furious with many boat filling and heading in by noon. Much more of what we have become accustomed to in the past few years. Troll Jigs to pick up that first fish, then it is a live bait show. Purple and Black seems to be the color of choice. 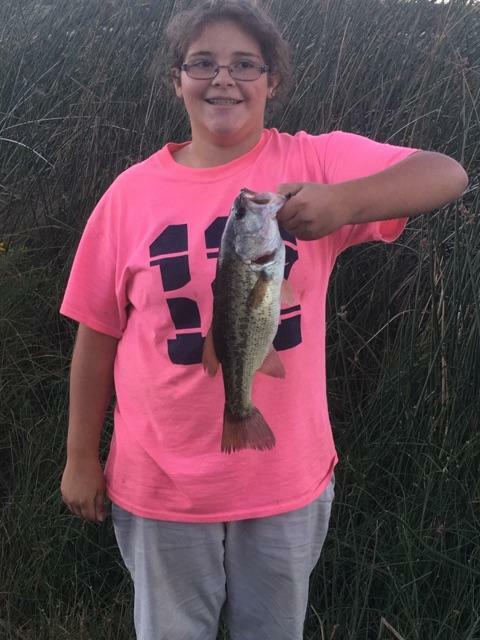 For those who do not have live bait capabilities, when you get a jig strike, continue to troll for 10 to 15 second before stopping. This will most likely result in a second or third hit. This fishery should continue into mid-October if the weather allows. 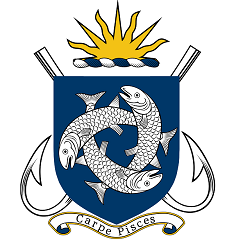 The popular bay fishery and the Boat Basin fishery here in Westport will kick into action later this month. Check the WDFW site for details. No word on Razor Clam digs as of yet but we should hear something soon. Head down to the coast to enjoy the fall weather. 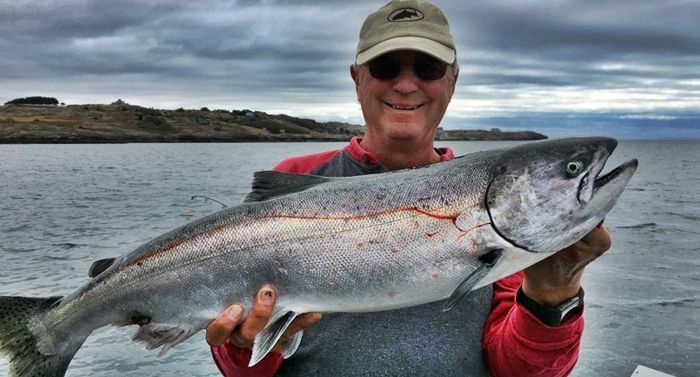 Jim Weaver with a nice Chinook. Came up loaded with candlefish. Lack of bait hasn’t been a problem in MA 7. 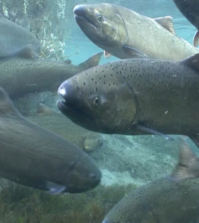 The San Juans continue to be slow for Chinook. There are fish caught every day, but not huge numbers, and not huge fish. Yet. September can see a big push of big fish. Let’s hope that happens. Recent rains won’t hurt. At some point the King’s will make a move for their home rivers. Crab fishing has closed for now while WDFW crunches numbers to see if there is any quota left to allow a winter harvest of Dungeness crab. There are Squid around the area docks for those who would like to try their hand at Squid fishing, also the Pt. 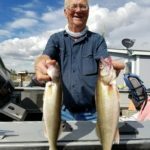 Defiance Marina is providing Squid fishing classes for more information just call 253-591-5325. Mr. Jaureeva with his 17.9 pound birthday fish. On the Bar, look for depths from 118 to 150 feet deep. That lower hump is still covered with fish during the first hour of light. Later in the morning it is best to troll in the trench at depths of 215 feet to 250 feet. As always, fish within 3 to 5 feet of the bottom and keep your speed from 1.1 to 1.4 mph. Jeff’s drift rig in green has worked quite well off the downriggers in both locations. Bait these rigs with a chunk of Northern Pikeminnow. 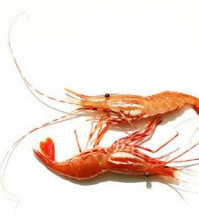 Scent everything with Pautzke’s Krill Juice. On the Bar, those T4 GPLF Flatfish by Worden Lures continue to be the “go to” big fish lure. For the trench, I switch the outrigger rods over to Silver Horde’s Kingfisher Lite in Green Splatterback Double Glow in the 3.5 size. 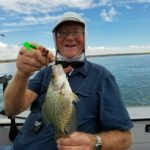 The fishing tip of the week is to remember to use set tension releases when deepwater trolling here on Chelan. Pinch pad style downrigger releases will result in too many false release to be efficient or to have much fun. We really like the simplicity and reliability of Sam’s Pro Releases by Gold Star / Silver Horde for a great set tension release. Remember to wrap your line 4 or 5 times on the hard plastic pin, not on the rubber spacer for best results. The Hunts with their Pile ‘o Lakers! This past weekend the weather was perfect. All campsites were filled as usual on Labor day. Fishing was good for some, while others could not buy a fish. I fished Potholes and Corral over the weekend and had a good time. 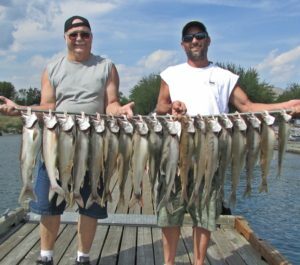 Walleye are now starting to show and the bass fishing is good. The lake is low but higher then normal for this date. I did get back into the dunes area accessing by the Whale bones and motored slowly. I did see boats that had grounded them selves in shallow water over a sandy bottom. The launches were crowded so patience was needed as once a year boaters were out. 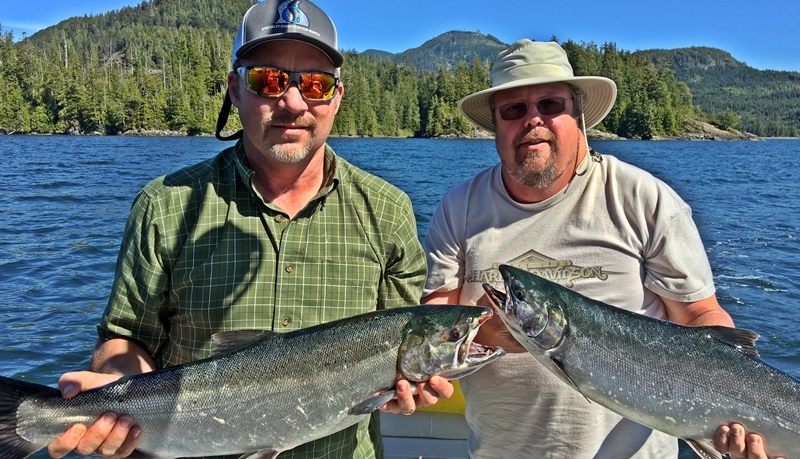 Salmon fishing inside Barkley sound this past week has been good, but there are signs of it slowing down for Chinooks.There has been some nice fish and with the Port Alberni Salmon Festival Derby this past weekend, lots of boats were on the water. The winning fish was brought in right from the Bamfield area. A whopping 53.3 Chinook. This fish nets winner Dan Weatherby $15,000. Dan was trolling a 3.5 in. Silver Horde, Cookies and Cream spoon behind a flasher when the monster hit. After a missed attempt at netting the fish on the first try, the second attempt was a success and the fish was his. The offshore banks are producing lots of Coho and a few mature Chinooks as well as small feeders. Halibut fishing is going strong with lots of 30- 60 pound fish being taken the last few day by guys who put the time in. Dog fish have been a pain at times but worth the hassle until the Halibut bite. Salmon fishing was GOOD this past week although spotty at times. There have been a lot of smaller springs around as well as fish in the teens and twenties. 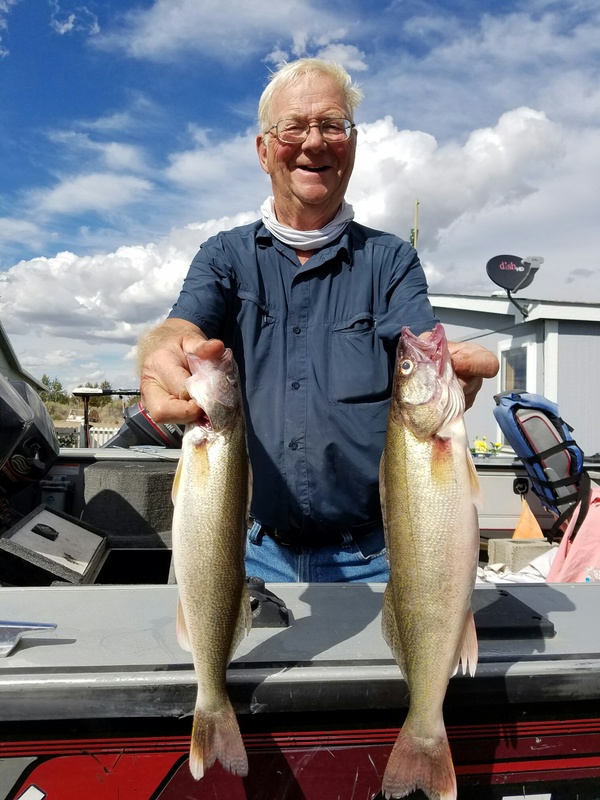 A couple of fish in the low thirties were also caught. The Trap Shack, Beechey Head and Aldridge Point were the most productive locations to fish. The coho fishing has been steady with anglers getting 7-11 lb hatchery fish as well lots of wild coho. Those who targeted coho did quite well using spoons. Anglers using bait are finding anchovies in glow teaser heads have been working best. Also good are spoons, such as the G-Force and Skinny G, in Bon Chovy or Outfitters’ colours. For flashers, the Betsey, Lemon Lime and Bon Chovi have been good. Salmon fishing was SLOW again this past week. There were some springs up to 12 lbs caught on the flats but not too many were taken.. Good trolling lures have been Coho Killers, Bon Chovi or Outfitters Skinny G spoons. 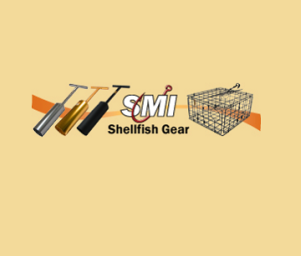 Anglers jigging have been using Needlefish Darts, Point Wilson Darts or Deep Stingers. Halibut fishing was FAIR this past week. 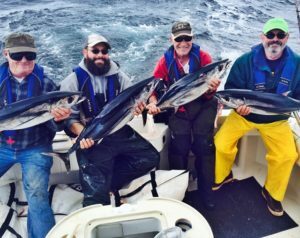 However, most anglers that were fishing for halibut were using extra large herring, salmon bellies and/or octopus for bait. Also working well was the 9” Jumbo Squid in Green Glow. Also working well, and discouraging to dogfish, was the 9” Jumbo Squid in Green Glow. Hunter Grant caught a 50lb halibut caught on the southwest corner of Constance Bank on Sunday. Salmon fishing was GOOD this past week. 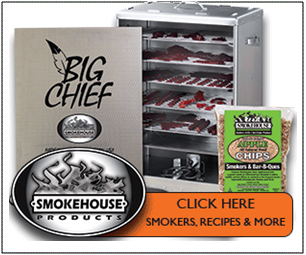 The best chinook fishing was near the entrance of Pedder Bay and Bentick Island. There have been loads of salmon and bait there and good bites have been early in the morning, on the tide changes and late in the evening. Some hatchery coho up to 10 lbs were also caught. 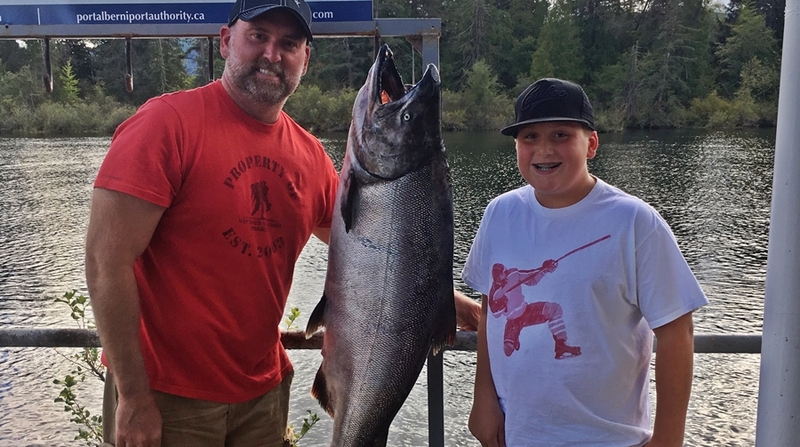 Anglers targeting the coho have been quite successful trolling out in the deeper water. Anchovies were the top bait this past week. Good choices for teaser head colors are UV Green, Chartreuse, Bloody Nose and Purple Haze. Flashers that are popular include the Betsey, Lemon-Lime and Madi. Halibut fishing was FAIR this past week. The best areas were Race Rocks, William Head, 27 Fathom reef and Constance Bank. Anglers that were fishing were using extra large herring, salmon bellies and/or octopus for bait. 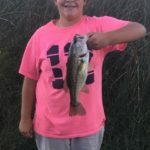 Berkley Gulp and Powerbait soft plastics also work very well. You can also use Mudraker, Lucky or 9” Jumbo Squids if you want to stay away from the dogfish. Salmon fishing was SLOW BUT BETTER this past week. The Pender Bluffs produced springs up to 30 lbs but not very many fish. The Powder Wharf area also gave up a few fish, especially on the evening bite. Anglers using spoons found Coho Killers, Gibbs Needle G and AP Tackleworks needlefish spoons the most successful this past year. Anglers jigging have also been caught springs using Needlefish Darts and Deep Stingers. 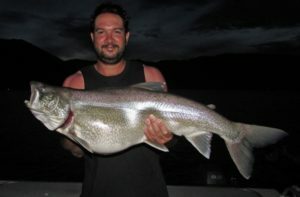 The Powder Wharf and Shag Rocks area are popular for jigging salmon. The salmon fishing was GOOD last week. Muir Creek, Possession Point and Secretary Island were the hotspots. The springs seem to be either at one or the other of these locations each day. The fish have been running shallower with 20-60 feet on the downrigger the best depths. There were some big springs in the 20’s and low 30’s, lots of teens and some small ones too. The coho fishing has been good and many of them were big. 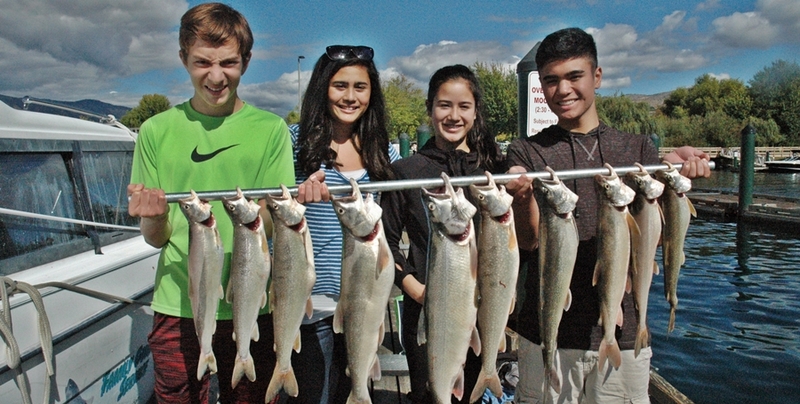 The hatchery fish were running from 8–14 lbs and the wild, unmarked coho were even bigger. The wild fish outnumbered the hatchery fish this past week. 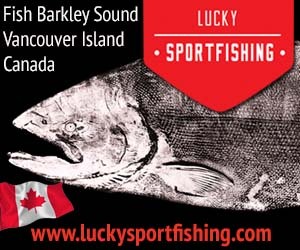 Anchovies are now the top choice for bait and good choices for teaser head colors are UV Green, Chartreuse, Bloody Nose and Purple Haze.The top spoons for Sooke anglers are the White Lightening and Irish Cream Coho Killers. For flashers, you can’t go wrong with a Super Betsey, Madi or Bon Chovi Flasher. Hootchies in White, Cop Car and Army Truck have been effective recently. Fishing for salmon was GOOD this past week. The week started out with lots of springs and coho off the harbour area. It slowed down on Thursday and Friday but picked up again on the weekend. 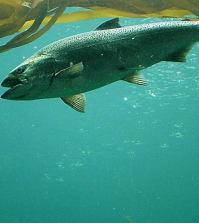 The wild coho were as large the teens in size and hatchery coho up to 12 lbs were caught. There were good bites at times and other long periods were there was nothing happening. The best depths have been 40 to 75 feet on the downrigger. There were good bites at Macauley, the V21 buoy, the breakwall, Brotchie Ledge and Clover Point. 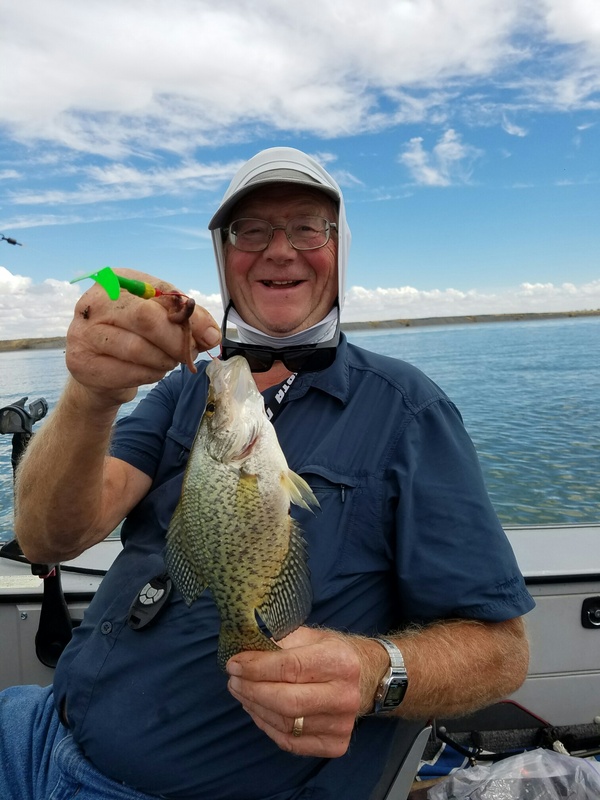 Most of the springs have been from 8 to 15 lbs in size but some in the twenties and low thirties were caught. Bob McMillan and Bob Pepper landed 4 springs Thursday off the breakwater that were 18 to 30 lbs in size. Anchovies have been a good bait to use (12 or 10 pack) and Bloody Nose, UV Green and Purple Haze have been the most popular colors for teaser heads. Spoons have been successful in getting hook ups as well. Green Spatter Back UV Coho Killers, 3.5” Cop Car spoons or AP Tackleworks needlefish spoons have also brought good results in Victoria.